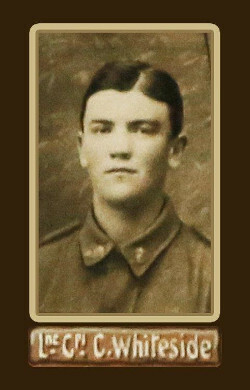 Thomas returned to Australia on the 15thJanuary 1919. Discharged on the 1stMarch 1919. In July 1923 Thomas married Kathleen Amy Cunningham. They lived in Whiteside Road, Officer and he continued to work as an orchardist. Died on the 24th November 1959 at Officer, Victoria. His daughter Elizabeth Whiteside compiled his letters in the book-‘ A valley in France; World War I letters to his parents and sister while on Active Service from Egypt, France and Great Britain. 1915-1918.’ Beaconsfield, Whiteside, 1999.